_Two-time Saturn Award* winner writer/producer Brian Patrick O’Toole began his career in the Entertainment Industry as a literary agent with the Leslie Kallen Literary Agency and the Helen Garrett Talent Agency before moving on to film producing. Mr. O’Toole’s work as a script consultant has given him the opportunity to work closely with many producers and directors, including Howard Kazanjian, Sydney Pollack, George Romero, Guillermo Del Toro, Dan Curtis, Hector Elizondo, Mickey Borofsky and Neil Marshall, to name a few. He studied extensively with UCLA’s Chairman of Screenwriting Richard Walter and was a member of the Player’s Workshop of the Second City in Chicago. 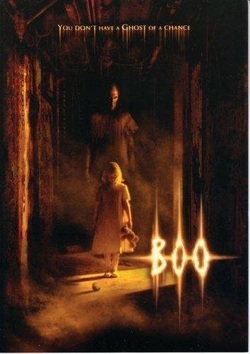 Mr. O’Toole’s screenwriting and producing career spans over 20 years within which he resurrected the werewolf genre with DOG SOLDIERS, put scares back into the ghost story with BOO!, combined horror with comedy in CEMETERY GATES, and was one of the first independent filmmakers to use a computer generated character in SLEEPSTALKER: THE SANDMAN'S LAST RITES. In 2007, Mr. O’Toole wrote and produced his first digital films: the zombie actioner EVILUTION and the suspense-thriller BASEMENT JACK. His films have received numerous awards from U.S. and International film festivals. Outside the horror genre, Mr. O’Toole has co-produced the festival favorite NEO NED and the action thriller DEATH VALLEY. 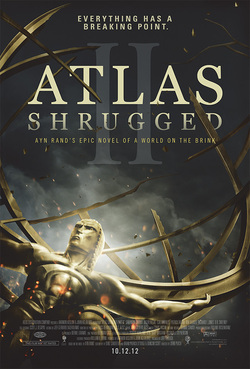 In May 2010, he was given the honor of adapting parts one and two of Ayn Rand's novel ATLAS SHRUGGED. He is currently on-board writing Part Three of the trilogy. Beyond film, Mr. O'Toole wrote a monthly column for Fangoria magazine from 2005-2011 commenting on the world of horror video gaming, as well as writing for Official PlayStation Magazine and Ultimate Gamer. 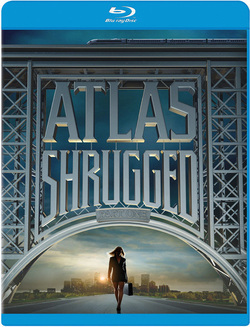 "The second third of Ayn Rand’s long novel comes to the screen with an entirely new cast and director (John Putch); only producers John Aglialoro and Harmon Kaslow and writer Brian Patrick O’Toole (joined by Duke Sandefur and Duncan Scott) are back from before. Still, the result is the same: a respectable effort hampered less by its limited budget than by the dogmatic contrivances of Rand’s plot and the straw-man polemics of her wooden, declamatory dialogue." Pointedly, the country is going down the tubes, to the point where Washington moves in to require those few successful big businesses that remain to submit to government control. Fighting this with every fiber are railway tycoon Dagny Taggart (Samantha Mathis, replacing Taylor Schilling) and steel magnate Henry Rearden (Jason Beghe, taking over from Grant Bowler). In the most politically pointed scene, the fiercely defiant Rearden is called before a judiciary panel empowered to enforce the government takeover of his giant business as well as imprison him, but he stands his ground with impressive resilience that rouses the spectators and wilts the judges. * 2013 Motion Picture Institute's "Liberty in Film" Award WINNER: "Best Adaptation of an Impossible to Adapt Book"
"The fight scenes were choreographed brilliantly for the most part. Both of Karen’s battles with Jack are masterfully done and very entertaining to watch. The interactions between characters were, as I said before, very well done." 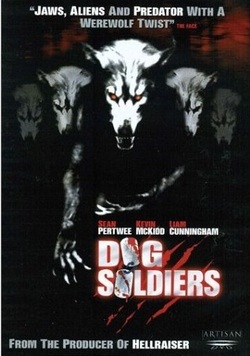 Brian Patrick O'Toole "Is credited by David E. Allen for coming up with a significant sub-plot in Dog Soldiers (2002)." 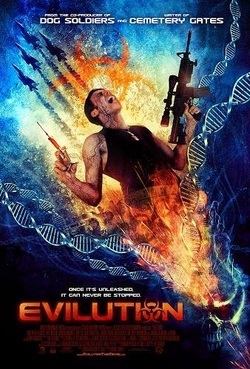 "Evilution stands as a credible low-budget, mixed-genre DVD entry, a horror-infused tale of mutant military engineering that metes out appropriate levels of gore and thrill while also rooting its story in actual characters." “You get a kickass opening followed by an actual story and that rare thing you almost never find in the big-budgeted Hollyweird horror movies – character development - followed by a tense, action packed and blood-soaked last act that once again proves the indie horror scene is alive and well!!" "That the film is a low budget affair is obvious, but, despite the small budget the film still delivers in a lot of areas. The zombie attacks are choreographed very well and range from funny to scary. That the director and the crew were fans of post-apocalyptic zombie films was obvious. They did a brilliant job of coming up with a different way to deal with the zombies and I enjoyed the film immensely." 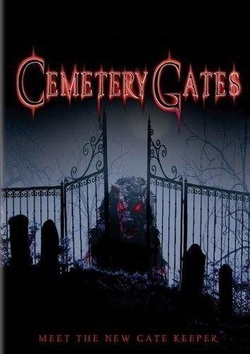 "Writer O’Toole is the man behind one of my favorite underrated indie gems from 2006, CEMETARY GATES, as well as the forthcoming BASEMENT JACK, a flick I’ve been looking forward to seeing for quite some time now, which also, from what I’ve heard, employs many of the same cast & crew from EVILUTION. EVILUTION’s title is more than just a play on words, or even a double-entendre, if you will, as you’ll find out when you watch it for yourself. The movie itself is, pun intended, infectious."